Discussion:The reception of Mathew and Paul’s Letter to the Romans regarding the race of Jesus, in text and image. Join us for a discussion over tea about the reception of Mathew and Paul’s Letter to the Romans regarding the race of Jesus, in text and image. “Living Texts,” an initiative of the Humanities Program and Directed Studies, showcases contemporary relevance of classic works. 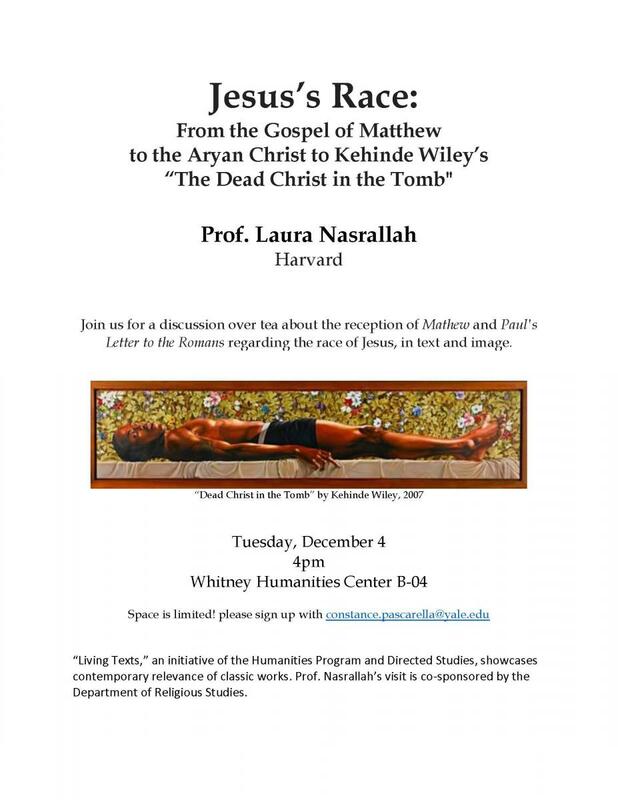 Prof. Nasrallah’s visit is co-sponsored by the Department of Religious Studies.